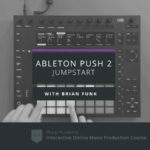 In this series of videos, Ableton Certified Trainer, Brian Funk, will reveal how you can use these powerful new Push 2 features to be more productive and creative with your Push. First up, Brian unveils 2 brand new slicing modes for Simpler, and investigates the new Layout for Drum Racks and Simpler, 16 Velocity Levels. In this tutorial Brian will give you a full walkthrough of the new Push 2 visual upgrades, including how you can customize colours inside of Live’s user interface, directly from your Push! He also spill the beans on new clip phase visual indicators that have been added. In this tutorial Brian will show you how you can set up your track routing directly from Push and some new workflow improvements when working in Ableton’s arrangement view. A powerful new feature added with Live 9.7’s update brings the ability to change the audio routing and monitoring directly from Push. There is also a new feature within the Fixed Length button called Phrase Sync. This changes the way Fixed Length works. 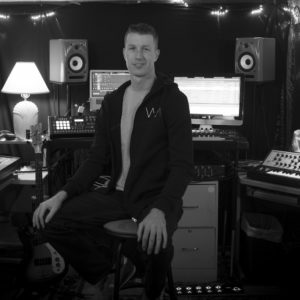 It allows you to record your bar starting at a specific point relative to the musical phrase. The functionality of the record button has also gotten a slight tweak as well. Finally, another functionality added to Push 2 is the ability to duplicate and delete clips from arrangement view.